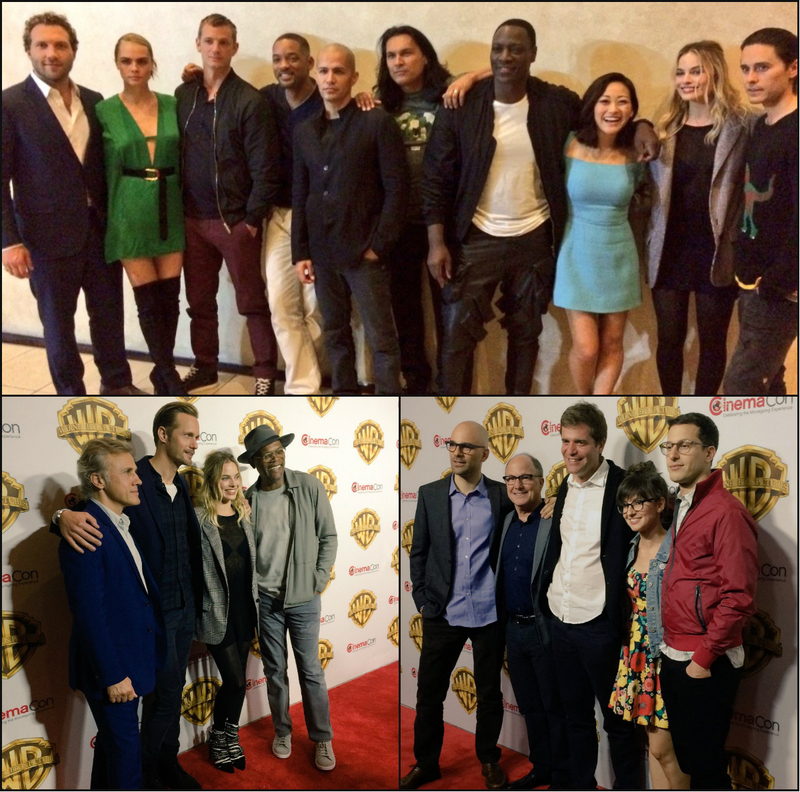 BURBANK, CA, April 12, 2016 – Warner Bros. Pictures showcased an impressive lineup of talents and highly anticipated films at this year’s CinemaCon, which generated tremendous excitement for the Studio’s wide-ranging slate. Chairman and CEO Kevin Tsujihara opened the program and announced that Ben Affleck—who will again play the role of Batman in the upcoming Justice League movie—will direct, as well as star in, a new stand-alone Batman feature. There were also speeches from Sue Kroll, in her new post as Warner Bros. Pictures President of Worldwide Marketing and Distribution, and Veronika Kwan Vandenberg, who was recently named President of Worldwide Distribution. Kicking off the film presentation with a bang, Ben Affleck and Amy Adams introduced a thrilling reel spotlighting the Studio’s ambitious slate of DC films. The roster includes the new Justice League film, as well as stand-alone features for Wonder Woman, The Flash, Aquaman and Cyborg. Director Zack Snyder closed the reel with a greeting from the Justice League film set, surrounded by his stars. The DC preview also included a glimpse of the summer’s hotly anticipated action adventure “Suicide Squad” and, immediately following, writer/director David Ayer took the stage and introduced the main ensemble cast, led by Will Smith, Jared Leto, Margot Robbie and Joel Kinnaman. The extended version of the “Suicide Squad” trailer was met with loud applause and the buzz surrounding the film was palpable. Host Mario Lopez then took the attendees through the rest of the summer line-up, including advance footage from the wide range of titles. 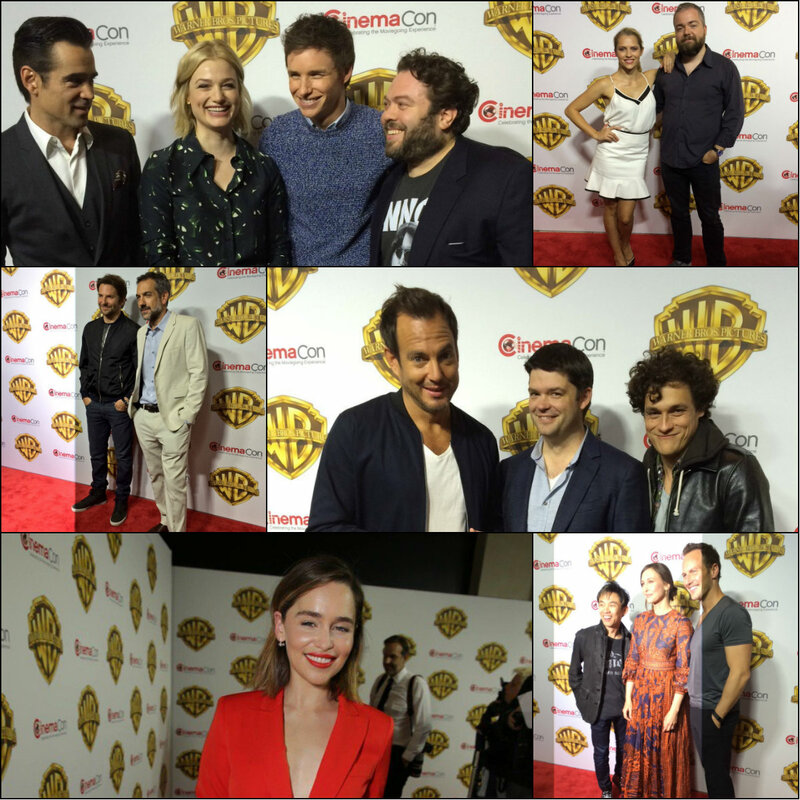 The stars and filmmakers who excited the crowd about their upcoming films included: Russell Crowe for the action comedy “The Nice Guys”; Emilia Clarke for the drama “Me Before You” (from New Line Cinema and Metro-Goldwyn Mayer); James Wan, Vera Farmiga and Patrick Wilson for the supernatural thriller “The Conjuring 2” (from New Line Cinema); Teresa Palmer and David F. Sandberg for the horror thriller “Lights Out” (from New Line Cinema); Kevin Hart and Rawson Marshall Thurber for the action comedy “Central Intelligence” (from New Line Cinema and Universal Pictures), which included a taped greeting from Dwayne Johnson; Alexander Skarsgård, Margot Robbie, Samuel L. Jackson and Christoph Waltz for the adventure “The Legend of Tarzan” (from Warner Bros. and Village Roadshow Pictures); and Todd Phillips and Bradley Cooper for the comedic drama “War Dogs,” which is based on real events. Looking past the summer, Warner Bros. unveiled some of the films on the drawing board from the Warner Animation Group, or WAG for short. Three of the brilliant minds in the WAG think tank—Christopher Miller, Phil Lord and Nicholas Stoller—came to the stage to introduce a special reel featuring a few of the titles in the pipeline, anchored by three new films in the LEGO® movie franchise: “The LEGO® Batman Movie,” “The LEGO® Movie 2” and “Ninjago.” Stoller, who co-directed the next WAG film on the slate, “Storks,” was joined by fellow director Doug Sweetland and voice talents Andy Samberg and Katie Crown to present new footage from the heartwarming and hilarious family adventure. The animation portion wrapped with never-before-seen footage from “The LEGO® Batman Movie,” which gives the breakout star of the hit “The LEGO® Movie” a film of his own. Drawing laughter and enthusiastic applause, the clip was presented by producers Lord and Miller, joined by the voice of LEGO® Batman himself, Will Arnett, who made a surprise appearance to the delight of everyone there. Warner Bros. closed the presentation with a look at the most magical film of the year, “Fantastic Beasts and Where to Find Them,” written by Harry Potter creator J.K. Rowling, which will bring moviegoers to a new place and time in the wizarding world. Four of the film’s stars, Eddie Redmayne, Alison Sudol, Dan Fogler and Colin Farrell, came to the stage to introduce the new teaser trailer and a look behind the scenes of the film, which has already captivated fans.